Better treatments. Better outcomes. More moments. The best outcomes are realized through a seamless continuum of care, including REAL TIME COMMUNICATION, PROACTIVE TREATMENT STRATEGIES, QUALITY INITIATIVES, and SERVICE CONNECTIVITY. Patients have the security of knowing that their care is the best national care, from diagnosis to treatment, from treatment to management. This is the future of cancer care, today, at Karmanos Cancer Institute at McLaren Northern Michigan. 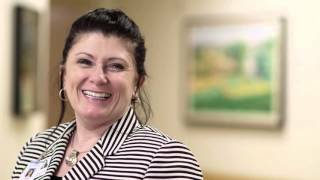 Karmanos Cancer Institute at McLaren Northern Michigan offers expanded clinical capabilities, access to trials and research, and collection of treatments and therapies available for northern Michigan patients. A nationally-recognized team of physicians, specialists, and clinicians share a broad vision for medical excellence in cancer care.